Cyberguitar with TAP, alongside Mystic Prism, Zenturion, Irie Samurai, and a dozen others! ...alongside legends like Neal Stephenson, Cory Doctorow, Martine Rothblatt, Annalee Newitz, and more! The festival's first-ever sunrise set! 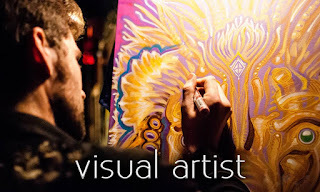 Live painting for Beats Antique, Lettuce, Tycho, Polish Ambassador, & more! 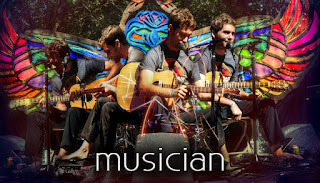 Music & Live Painting for the 2nd annual rock-stacking championship! Live music for "Earth Consciousness & The Lore of the Amazon"
Speaking on Technoshamanism & teaching an interactive live looping workshop! Bring your own art supplies and make things with us! for Michael's new album, "Little Bird & The Eschaton"
Speaking on AI & "How To Live in The Future"
performing acoustic guitar "Cosmic Americana"
Speaking on "Tech Ethics as Psychedelic Parenting"
Full Moon Workshop: "Technologists of Attention"
Playing music at Understanding Ayahuasca: an all-day event with Alex & Allyson Grey, Luis Eduardo Luna, Ralph Metzner, Daniel Pinchbeck, Allan Badiner, Steven White, Esthela Calderón, and Skytree. Live looping + acoustic instrument collaborative experiments! Live painting for Jenuine Cello, ARTheism, and more! Live painting for Devin Kroes, DRRTYWULVZ, Cactus Bath, & more! Live webcast interview on empowered living! An amazing river awareness/conservation event! Music, art, and speaking for the 10th Year Family Reunion! Cyberacoustic guitar improv for active meditation "Bittersweet Yoga"
Live cyberguitar set for End of the World Party! Free show – everyone's invited! Third Coast Visions Family SXSW Kickoff! Returning for my 5th year with Texas' best music festival! Music, Art, & Speaking alongside Random Rab, Sorne, The Polish Ambassador, Quixotic, Karl Denson, Zach Deputy, and more. 9 - 11 pm: Looper's Night open-stage experiment in acoustic-electronic live composition - bring instruments! 25 March, Austin TX - CleanseATX Spring Alive Festival! 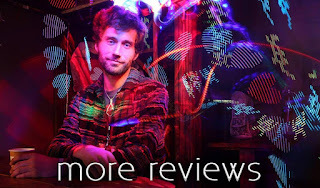 • 9:15 - 10:15pm: Viewspace - talk, "Surfing The Singularity"
• 8:00pm - 5:00am: cyberacoustic guitar (set times TBD) with Brody Buster Band, Sri Yantra and live painting with Mike Hooper, Chance Roberts, Jason Turner, and more! 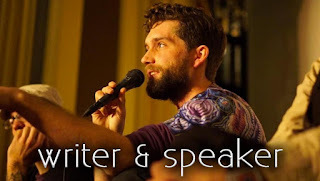 • 9 pm: talk, "Surfing The Singularity"
w/ Michael Taggart & more TBA! Finalist competing to win 75 hours of studio time! Grammy-nominated judging panel – come holler for me! The Nadis Warriors, DVS*, & more! free drink for every guest - support us in the last round! AND third year returning resident live artist! "Artists on the Edge: Our Role in an Initiatory Age"
Octopus Nebula, Project Aspect, Phadroid, Govinda, and more! FREE - last scheduled show in Colorado! "Daylighting The New Social DNA Through Music & Art,"
Random Rab: "The perfect opening act." at Quixote's (Denver CO) Michael Travis: "The perfect opening act." From 2001 to 2005, I played numerous café gigs in Lawrence, KS and Kansas City, MO, but didn't bother keeping a detailed record of my concert calendar until 2011. Willy Porter: "Monstrously talented...an act the likes of which I have not seen in a long time."